Follow the doctor's prescription for keeping your knees strong and healthy during your training. The words "knee injury" strike fear into the heart of professional athletes and weekend warriors alike. Knee injuries, such as meniscal tears and ligament tears, are injuries that can keep people on the sidelines for an extended period of time. Just recently, Pittsburgh Steeler QB Ben Roethlisberger sprained (tore) his MCL, which can keep an athlete down for typically 4-6 weeks. Last year, Carson Palmer tore his ACL, which kept him out for the whole NFL season. While some knee injuries are unavoidable, there are ways to keep your knees strong and decrease your chances of a serious injury. The most important thing to realize is that preventing knee injuries starts with keeping your hips strong. 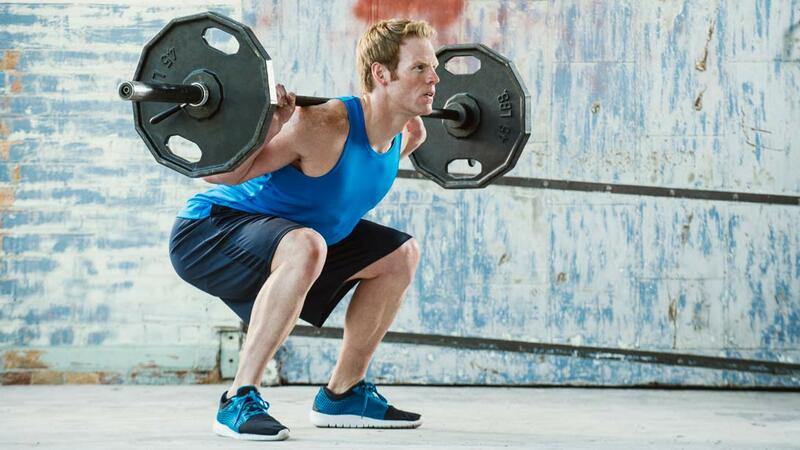 Recent research has shown that improving gluteal strength with exercises such as clam shells, lunges, and box jumps decreases the chance of significant ligament tears of the knee. The hips help to control the knee. Other exercises to help with knee control include quad and hamstring strengthening (squats to 90 degrees, prone leg curls). It is important when adding any new exercise to go slowly; there is no race to improving strength, and if you try to progress too quickly, this can lead to tendonitis, which will set you back. Slow and steady will get you where you need to be. Finally, get in shape to play your sport. Gym work and increasing overall fitness will prepare you better for your sport. Don't try to play your sport to get in shape -- although your sport can HELP keep you in shape.